XL 4494 x 2927px 15 Mb. 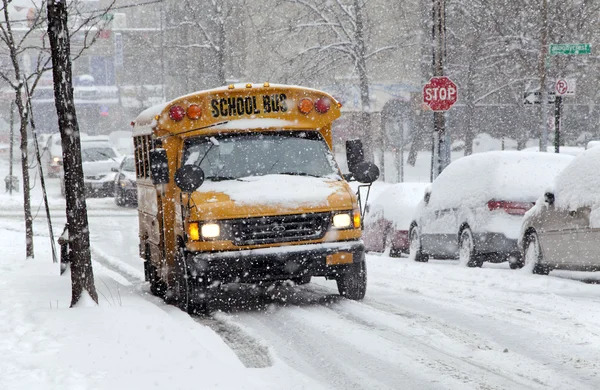 BRONX, NEW YORK - JANUARY 21: School bus during a 6 to 10 inch snow storm with teen temperatures along Ogden avenue and 162nd street. Taken January 21, 2014 in the Bronx, New York.